This post is part of the with DoubleClick series, highlighting stories and perspectives from industry leaders about how they are succeeding with an integrated digital marketing platform. As one of the UK's leading family clothing retailers, Matalan must be nimble -- faster decisions mean better customer engagement and more sales. So they worked with Morpheus Media to implement Google Analytics Premium with DoubleClick Campaign Manager to provide Matalan with more powerful insights and help them make better business decisions, faster. 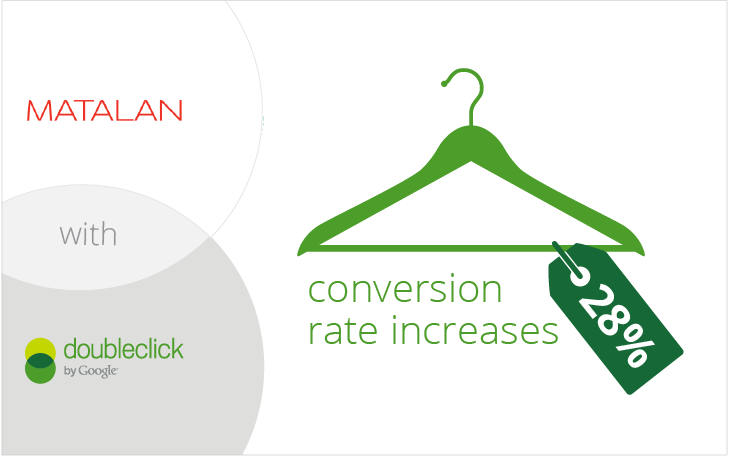 Matalan was already using DoubleClick Campaign Manager to centralize their digital marketing and reports. Adding Google Analytics Premium side-by-side showed them campaign effectiveness even more clearly, allowing them to uncover the hidden value of their digital marketing efforts, like transactions where digital advertising had assisted a conversion on another channel. “It’s really helpful to be able to see one channel that might not be a heavy hitter in terms of revenue or traffic has an impact in creating a conversion on another channel,” says Lee Pinnington, Matalan's Multi-Channel Marketing Director. With a complete view of their digital marketing ROI thanks to the integration of DoubleClick Campaign Manager and Google Analytics Premium, Matalan was able to put their marketing dollars where they would truly be most effective. And the results were dramatic: a 28% rise in conversion rate and significant growth in both site visits and revenue. To learn more about Matalan's approach, check out the full case study. You can stay on top of new updates by subscribing to our newsletter and following us on Google+ and Twitter.